A week ago I wrote about a sweet little mule named Rudy. Rudy has been at our barn ever since I got there some six years ago, a timid little creature that darted off in terror at the slightest advance of humanity and was at the bottom of the hierarchy among the three minis with whom he pastured. Little by little over the last year I have offered him bits and pieces of grass, hay and hands-full of oats. The process was long and tedious, requiring great gobs of patience and hope for this beautiful, sweet and soft-eyed fellow. Then we discovered Ginger Snaps! I’ve been treating my boy Buzzy with Ginger Snaps for years now and he gobbles them greedily and with great gusto. I decided to see if Rudy had the same reaction. He did, and he finally he came forth, albeit arching his neck to keep his body as far as possible so he could stretch and get the Ginger Snap out of my hand. This boy is as gentle as they come, taking the Ginger Snap ever so carefully with his soft lips before running off, only now he doesn’t run off, and now he actually comes to the fence when he sees me or hears my voice. Then yesterday – Rudy came running!! To me this was a reward and joy beyond words! I went to the gait to look for him, and he had just finished a muddy roll at the far end of the pasture. He looked, got up, sounded his musical mule bray, and came running to me!! 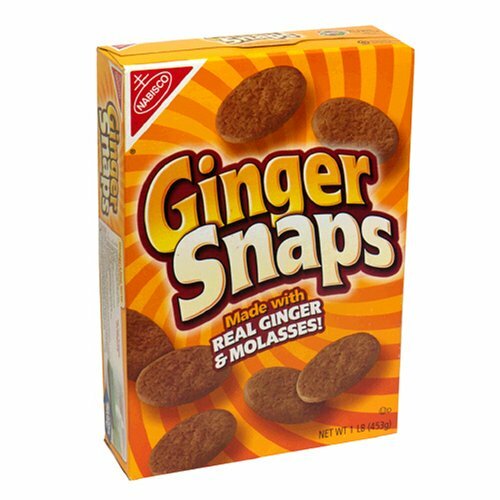 I wanted to give him the whole box of Ginger Snaps but had to save a few for my Buzz. I may never get much further with this boy, but to give a little ‘feral’ mule some love and a few Ginger Snaps fills me with true joy and happiness.